Awards ceremony of the Talent Award of Korea. 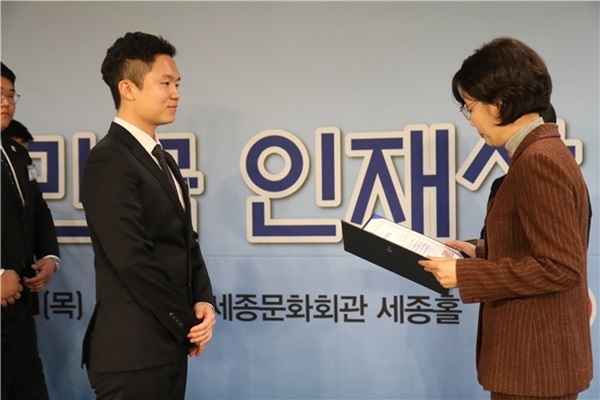 Daegyeom Kang, a master’s graduate from the Department of Mechanical Engineering at KAIST, was named the winner of the 2017 Talent Award of Korea on November 30. The Talent Award of Korea recognizes individuals with the potential to become future leaders of Korea. This year, the Ministry of Education selected 100 recipients to encourage talent cultivation in preparation for the fourth industrial revolution. Kang was one of the ten recipients in the youth category. Kang was named as a recipient in recognition of his contributions to research on self-contained Electro-Hydrostatic Actuation (EHA) systems, which are widely used in robots, motion platforms, and aircraft wings. They are more efficient compared to conventional valve-controlled hydraulic systems. Because EHA systems are self-contained, they are easier to manage and more portable. 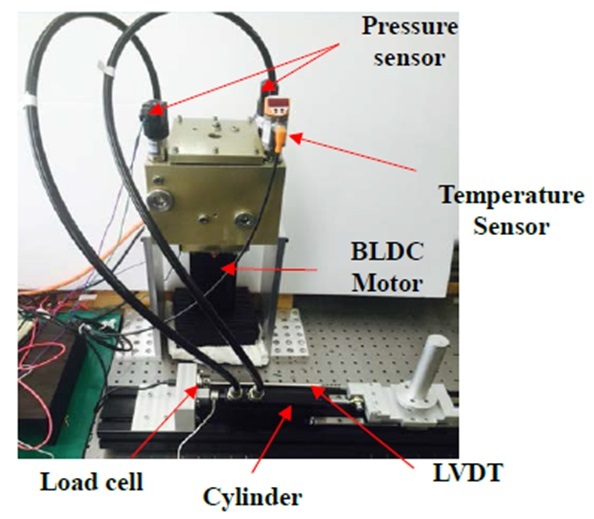 Kang developed a method that enables precise control over the position of the hydraulic operating unit in outdoor conditions. The proposed system combines a disturbance observer with an effective backstepping controller.